A new genre of International entertainment! 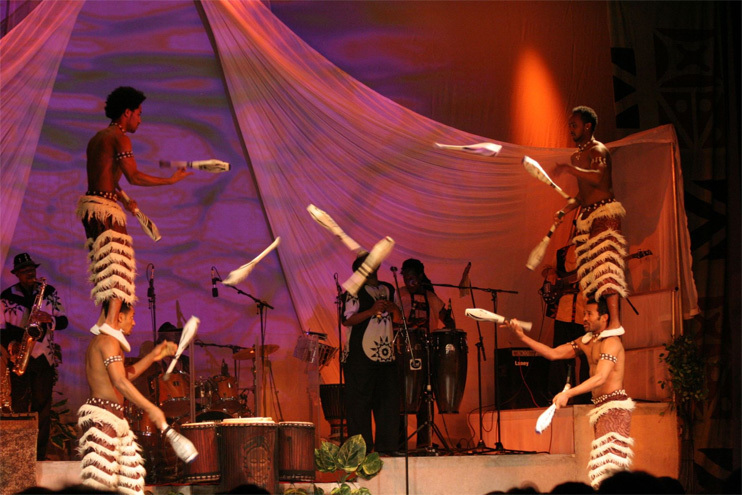 ‘Cirque Afrika’ is a blend of African music, dance, drums, colorful costumes and characters, circus and performing arts. It is traditional; but new, cultural; but entertaining. 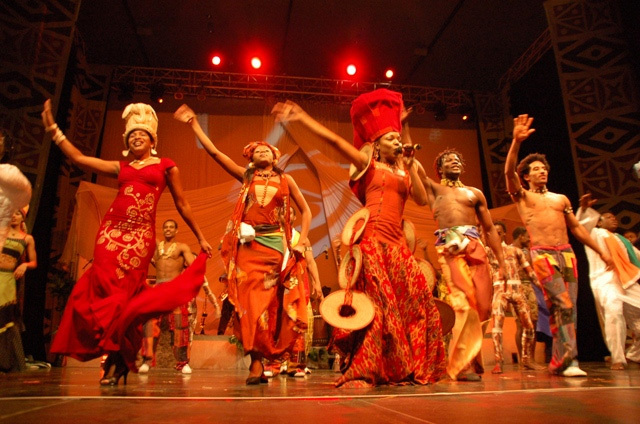 Nine countries are represented in the show from “The Cradle of Mankind”, Mother Africa. 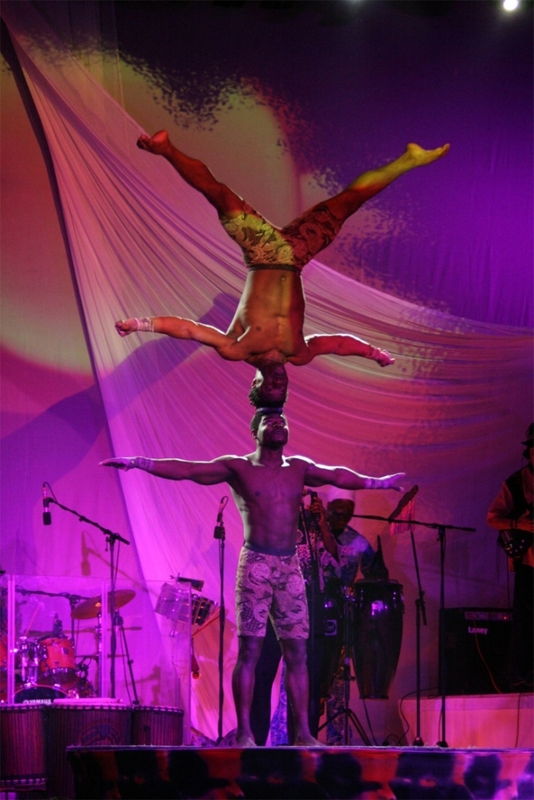 Producer Winston Ruddle from Zimbabwe and the African Acrobats Association have partnered with German Promoter Hubert Schober to present two European tours consisting of 89 cities in 2007 and 2008. A new show is currently in production in Dar es Salaam, Tanzania for the third European tour. Until now, there has never been an “all African” show like Cirque Africa which represents unique artists from multiple countries of the Mother Continent. 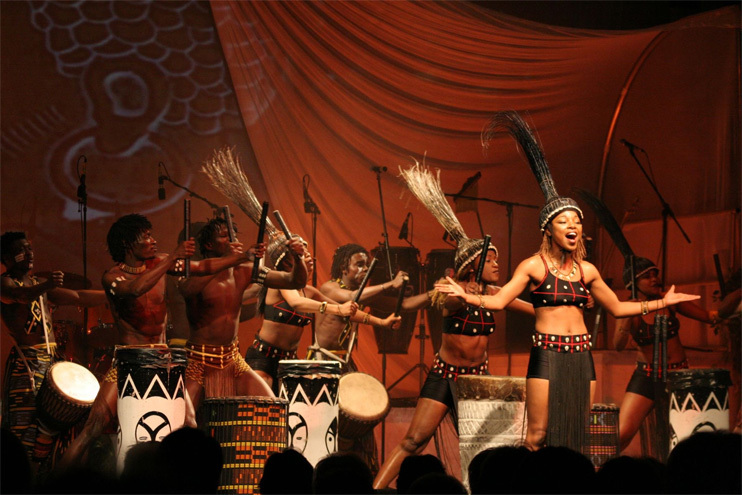 Mysterious dance and drum arrangements, bewitching musical scores, this show is pure African rhythm and joy. Jugglers, stilt walkers humorists, and contortionists add their skills to the production. The cast of fifty trained under less than ideal conditions, but present this spectacular presentation with bright eyes and a liquid-silk display. The audience leaves inspired by the sheer power and energy that these artists displayed for their enjoyment. The time is right in America for Cirque Afrika!—With the advent of ‘The Africa Channel’ on cable TV and numerous worldwide humanitarian efforts to enhance the quality of life in Africa, we celebrate the culture of the African people themselves as represented by this show. The recent development of a Kenyan-American in the White House as President will also elevate this celebration of African culture.